Ahhhhh the weekends here! Sorry for the day delay, but we had a release blog hop all week long!!!! Here'e my quick and easy card for this week! 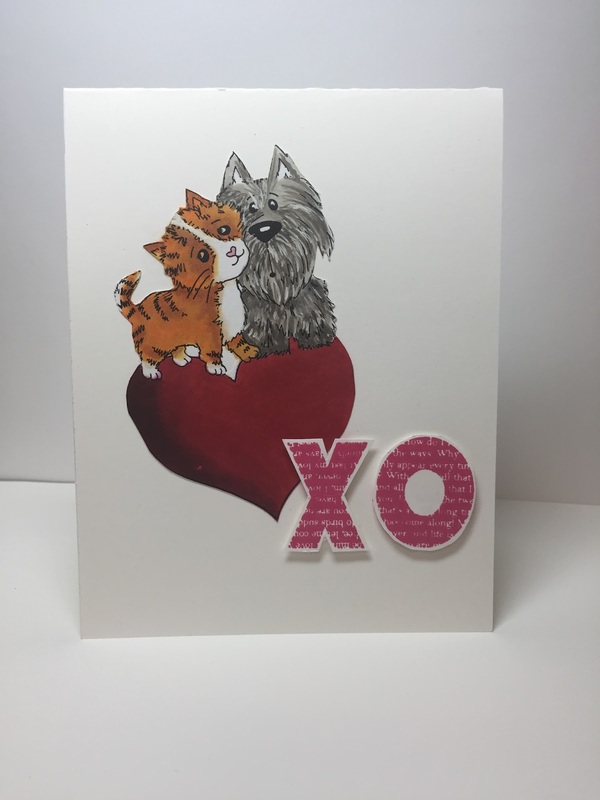 Two products and cardstock. It doesn't get much simpler than that. 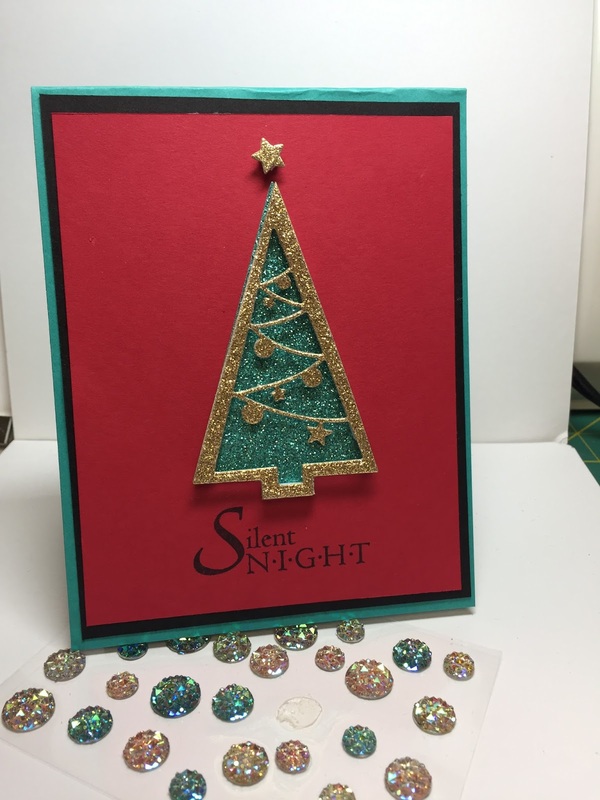 I used Glitter Card stock for the tree and Black ink for the sentiment! Welcome to the final day of the Impression Obsession Spring blog hop! I hope you've had a great feast for your peepers this week! 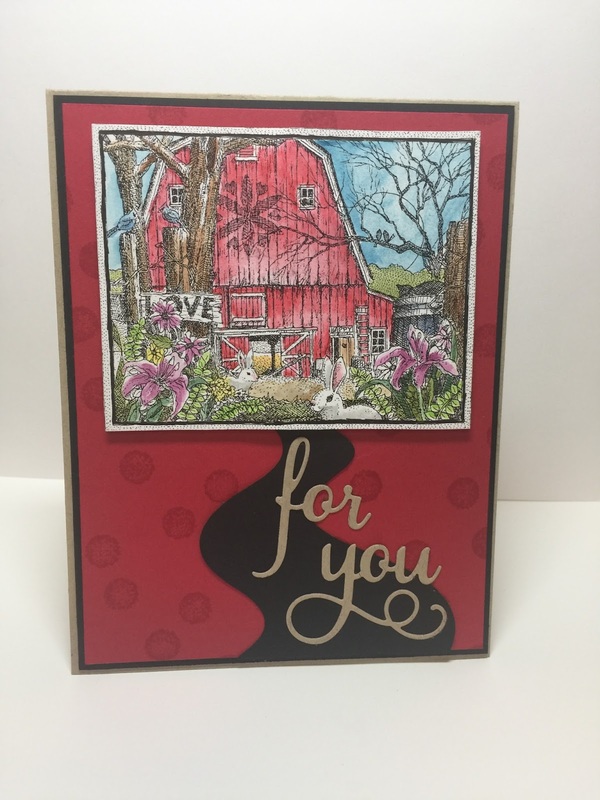 Today I'm featuring a couple of Country themed cards. Again I coloured with alcohol markers! Here's who is playing today! Be sure to comment on each blog for all five days as there will be FIVE gifts certificates up for grabs. See the IO Blog for all details! Now hop away and leave the rest of the ladies some love!!! Good Morning! I sure hope your enjoying the blog hop! Today I'm sharing Critters. How about this cute little piggie coloured with Touch Markers and layered onto a Mod Floral Backgroun? These two little gaffers crack me up! Again, coloured with Touch Markers and I LOVE LOVE LOVE LOVEEEEEEEE that XO sentiment!!!!! Everyone can benefit from Hugs and Kisses, can't they??? The more blogs you comment on, the better the odds!!!! Today, we're halfway through the Hop! In the comments section, I'd love to hear your thoughts on the release overall. There are so many fun stamps!!!!! 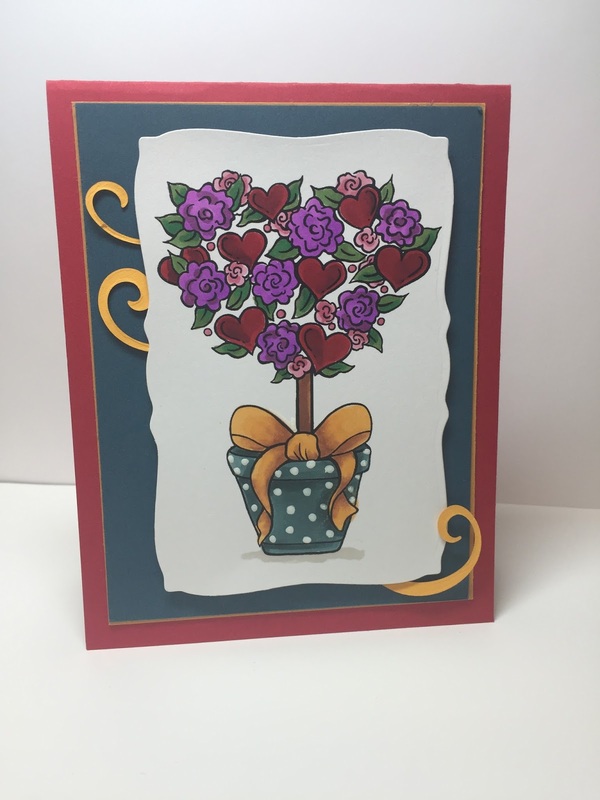 I simply ADORE this Heart Topiary Stamp! I added the Ornate Flourish Die in behind for a little pizzazle!!!!! Make sure you leave some love to increase your chance of winning a prize!!! If you were here yesterday, you know we have an ENTIRE WEEK of shares, with one gift certificate for $25.00 up for grabs each of the five days! Well let's get right to it!!!! I KNEW when I saw this sweet paintbrush, I had to have it. Are you wonderfing how I got the different colours AND the embossed centre on the Brush? I used my Mini Misti!!!! First I inked up the Handle in not quite navy and stamped it. Then I layed piece of sticky not over that part of the image and after cleaning the stamp, inked the brush part in Crumb Cake. Once again, I cleaned up the stamp. This time, I layed a sticky note over the handle and the brush hairs while I inked up the middle portion with Versamark. I shook on some silver embossing powder, taking care to ensure that I dusted off any extra debris from the previously stamped parts and heat set it. I then cut out the image and using the Crumb Cake and Not quite Navy Marker, along with an aquapainter, I shaded the handle and brush parts of the paintbrush. 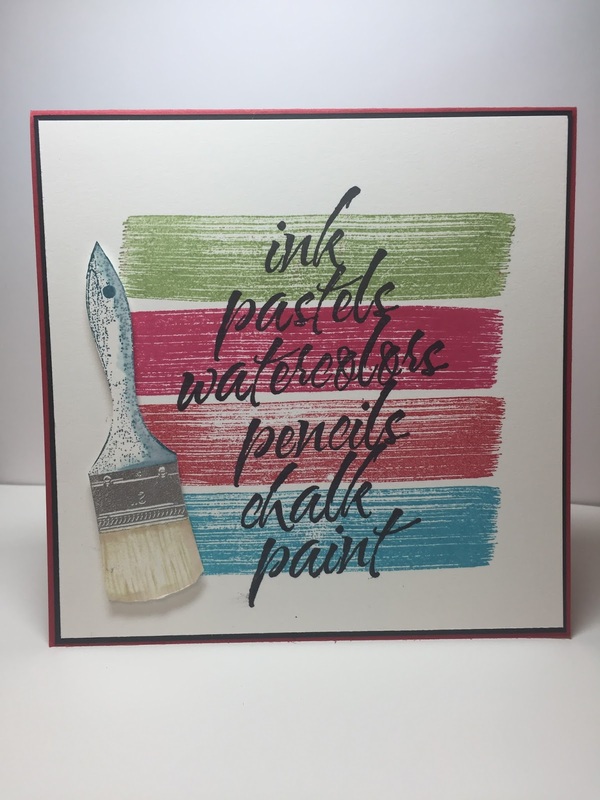 I then stamped the long brush stroke stamp in Melon Mambo, Real Red, Wild Wasabi and Brilliant Blue, adding the sentiment over top in Black. Lastly, I mounted my fussy cut paint brush on dimensional foam. I REALLY lite the way this one turned out! Be sure to visit the following blogs and leave some love! You are in store for a LOT of eye candy this week as the IO Design Team Share their CHA Samples!! I didn't have the pleasure of attending CHA this year, but at least I was there in Spirit! Cupcake stand! I added some glittler to the pinks because I think pink should automatically be paired with sparkle!!!! Here's a list of the players today! The Blog Hop will be posted on the Impression Obsession Blog at 6am EST January 23rd - January 27th. Comment entries will be open until 9pm CT on Sunday January 29th and all winners will be announced January 30th. Hello! I'm a little late. In fact you almost got Festive Friday on Saturday! This week apparently got away on me. Exactly how, I'm not sure, but it sure did! There is actually a sweet border on the tiny village but I left it off as I wanted to use the sentiment to ground the image. Of course I had to Bedazzle it with a little Glitta!!!! Three down, 49 to go!!! I hope you've been having a good week!!! 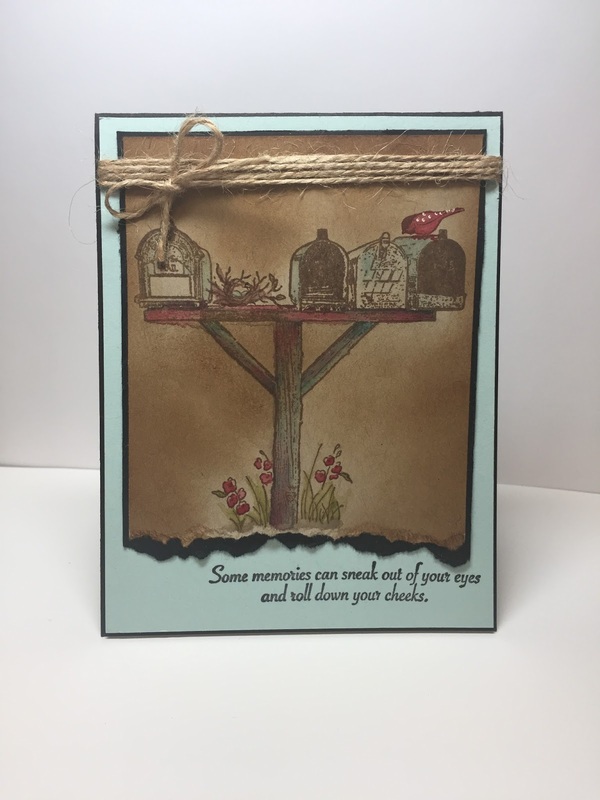 You are in for a treat this week as I am certain that you will have the opportunity to see some new stamps in your blog travels! The theme this week is to create a love card. Love is always in the air in Gay Paris. Dina has done a fabulous job of creating a super romantic stamp using the Tour D'Eiffel as the major focal point.! Yep, that's my bit of french for today! I actually love to listen to people speaking french and can speak a wee bit myself. I've always done really well when taking french classes, but sadly, I lose it without practicing. I can therefore read more than I can understand orally, but I can probably string enough sentences together if I got lost in the City of Lights. Then again, Parisian French differs from Canadian French....next time I happen to be in Paris, I'll let you know how I made out!!! My card is fairly simple but I really like the way it turned out. I stamped the image onto the shipping tag with Archival Ink. After letting it dry, I watercoloured bits and piences of the image. Lastly, I sponged around the edges using Vintage Photo Ink. 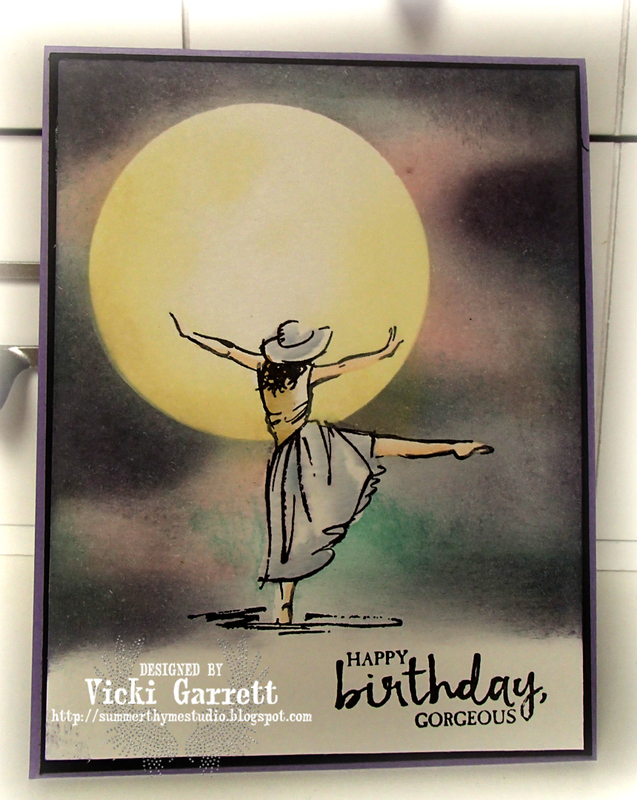 I wanted to add to the romanticism of the card, so I cut out the frame from the Ornate Oval die in Espresso Cardstock. I also stamped the blusing bride panel with the new X and O Cover a card stamp. 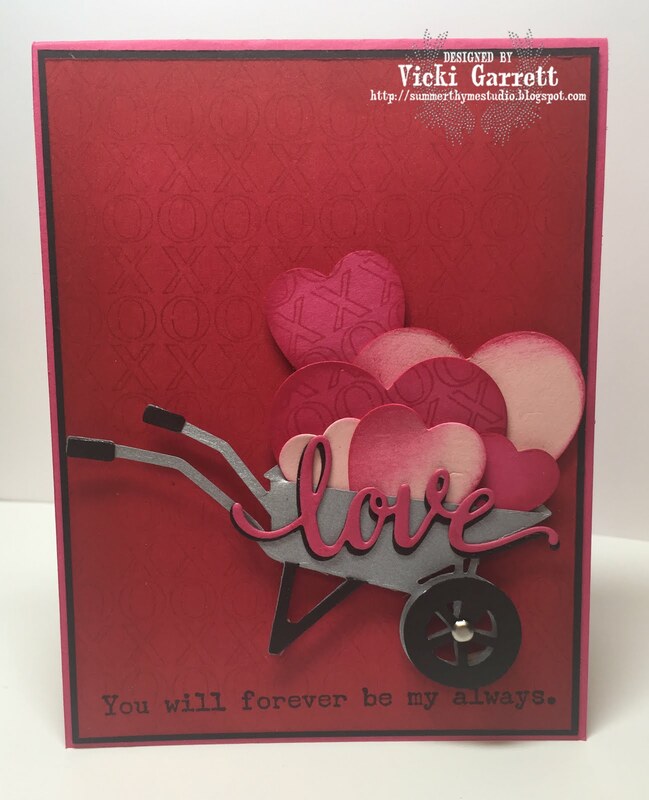 I mounted it all on an Ivory card base to give it a Vintagy Valentine look. Hello Monday!!! How was your weekend? Mine was pretty quiet (as usual) but I did manage to get out and walk a bit Saturday and Sunday, which is good progress. I'm pushing myself to walk a little faster and a little further every day.......baby steps really, but ever moving forward! I chose this completely A-Dorable Tasty Truck set as one of my SAB reward sets. When I opened it up, i knew that I NEEDED to see that cute little truck in motion! I pulled out my shooting star framelits and got to work!!!! Well, that is after I coloured the truck image and the little Balloon from the Lift me Up! set, which is in the new Occasions Catalogue. I also purchased Coordinating Up and Away dies from which I cut the clouds and the little balloon!!! 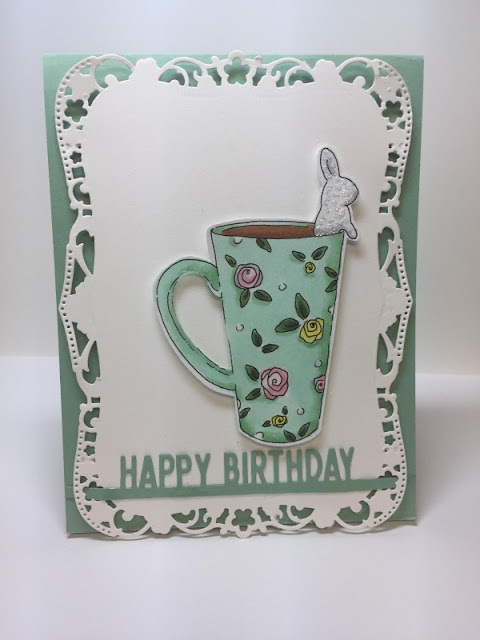 I fashioned the card using some paper from the Cups and Carousels line, along with Old Olive Paper and the Grass Die (Small Grass Border) from Impression Obsession. Viola! The card was complete and I must say I had a little fun "driving" it back and forth across the card front. Even better, when I showed it to Jon (who is 20 if you haven't been following my blog long). He seemed to find it amusing to drive back and forth as well, but adding side effects....vrrrrrrrrooooooom!. It was when he started making the beeping sounds as he was backing the truck up that I darned near fell of my chair in hysterics....ah well, laughter is wonderful medicine and being silly is also good for the soul isn't it? I hope you have a wonderful week. It's supposed to freeze rain here tomorrow, which I sure hope DOESN"T happen. I'm off to mindfulness practice in the morning and have some errands to run if the weather doesn't arrive as predicted!!!! 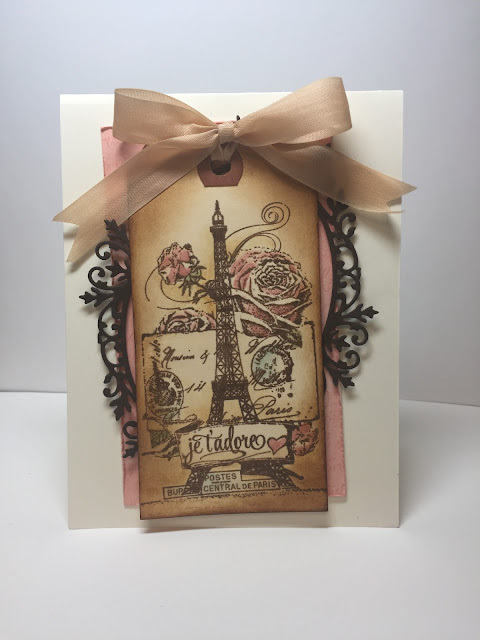 Tags: Impression Obsession, Stampin' Up! I'm back with another "Flattish" Christmas Card. Because this one is a 6x6, I strayed away a bit from my goal and will hand deliver it. I had coloured this sweet image from Stamping Bella using the Gingerbread House Stamp and Die Bundle. I also had a lot of this sweet Designer Paper from Stampin' Up!, which was just dying to be set to cardstock!. I coloured the image with Copic Markers and tucked it away into my coloured image bin. 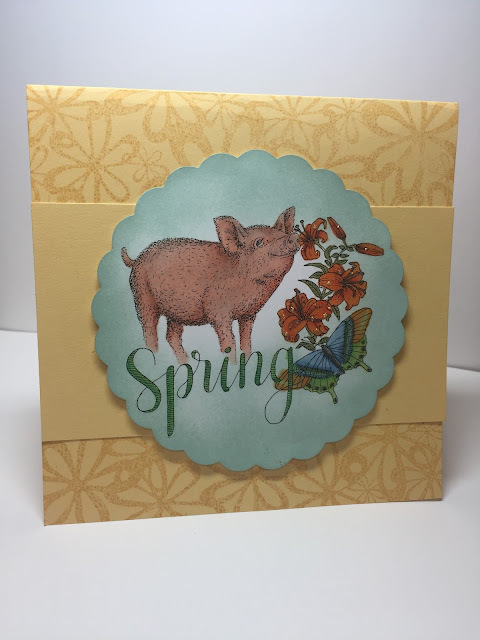 I pulled it out this morning as I felt it would be perfect for the Sketch Challenge at Splitcoaststampers. I finished it up by adding three little heart embellies that I picked up at the Dollar Store. It came together quickly since I had the super cute image coloured!!!! Good Morning!! 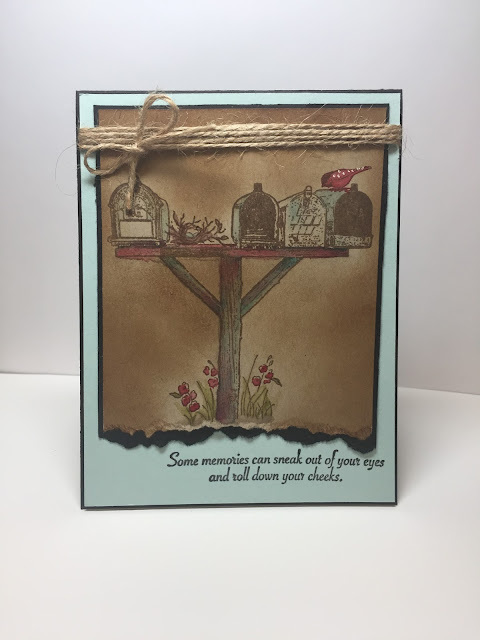 I'm excited to be the featured Designer for Impression Obsession today as I get to share some of the newest stamps!!!! I won't be attending CHA in Phoenix this year, but I'm happy to say that some of my cards will be on display in the Impression Obsession Booth!!! If you happen to get there and see these cards, please snap a pic for me!!!! As I mentioned earlier, I wanted to show you that using the negative space of the die can be quite effective. I cut around the space with a Heart Die cut. I coloured an "X" and an "O" to highlight them, added a little bling on the heart and mounted it on some dimensional dots. Easy Peasy!!!! 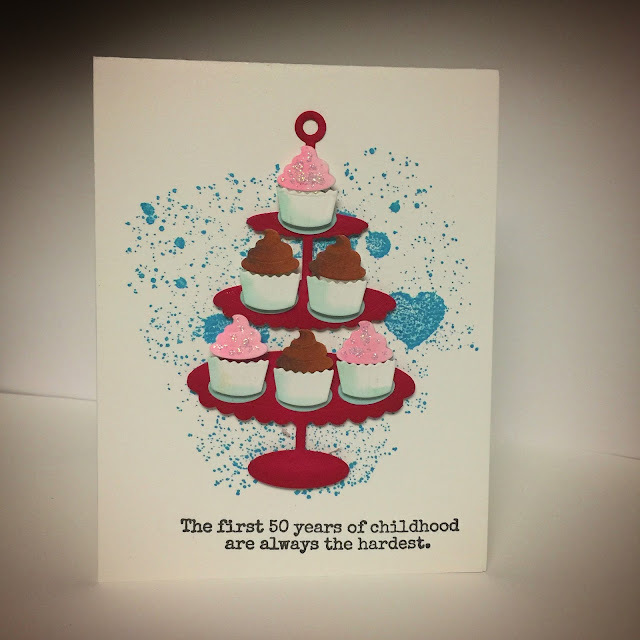 I hope you enjoy my cards today as much as I enjoyed creating them. We'll be back soon with a Spring Release Blog Hop to share some more IO images!!! 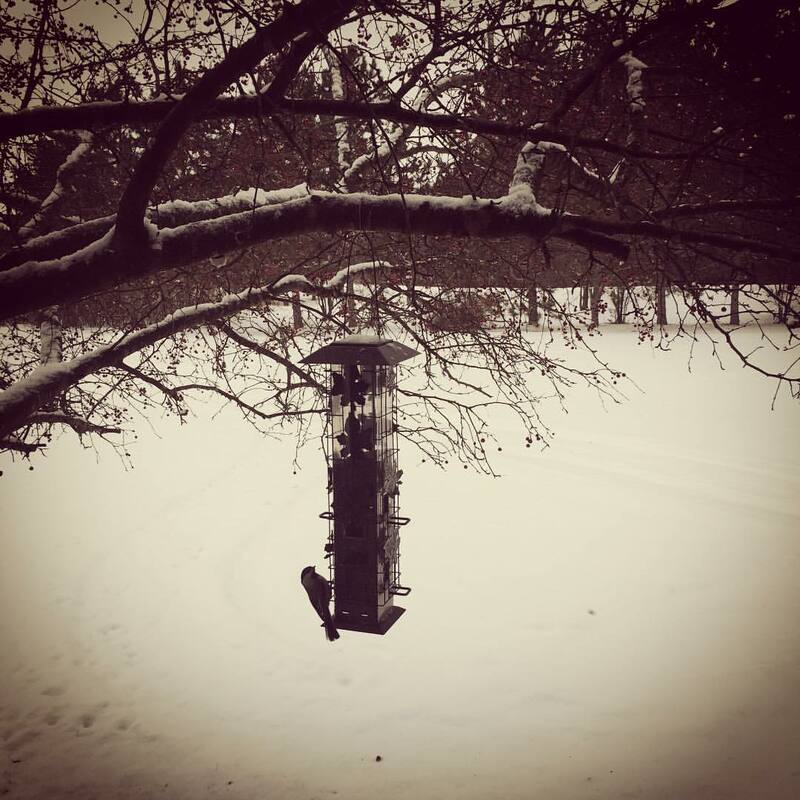 Before Christmas I treated myself to this little Birdfeeder. It claimed to be Squirrel Proof (which it is) but it also said it would support the weight of Blue Jays and Cardinals. NOT the Blue Jays we have in my back yard. They are so big that they close the feeding slots when they land on the perches. They do enjoy the seeds that have fallen to the ground. I derive a great deal of pleasure from watching the birds feed as I enjoy my breakfast and lunch. We've attracted a great deal of Chickadees, some Sparrows and i've just acquired a bird book so I can identify the others. We also have a couple of hopeful Squirrels, one Red (he likes to peer in the window at us) and a big fluffy grey one who is super cute and probably doesn't like us much for having a squirrel free feeder. I enjoy hand feeding the Chickadees. Spencer brought over some unsalted dry roasted peanuts and they seem to go crazy for them. I've tried to get a pick, but they don't want to land on my palm with the phone in my other hand..... i'm going to keep trying! THAT is my challenge. Feeding the Birds is one of my Joys, along with Stamping. 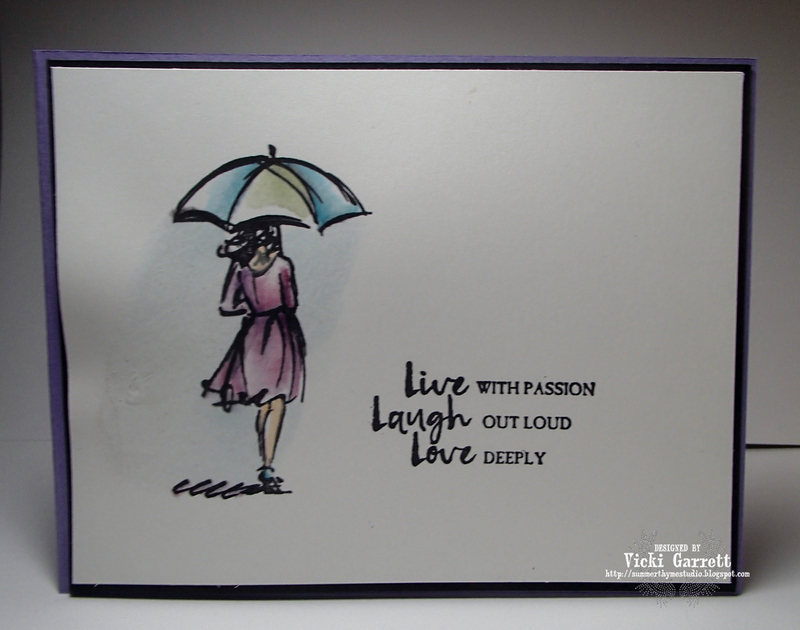 I'm excited to share a sneak peek from Impression Obsession today. CHA is coming upon us really soon and Mitra is releasing a LOT of amazing images next week. What do you think of this adorable little image? I call the card Cocoa and a Peep!!!! You will get all the details on the stamp next week, when they will be available on the Impression Obsession Website. I coloured the image with my Copic Markers and mounted it on Dimensional Foam. Are you all ready for the weekend? I've been up tooting around this morning and got a LOT of things done, but I'm afraid I need a little nap now.......ugh...... Lyme disease can sure keep one's energy level at bay. I want my stamina back!!! 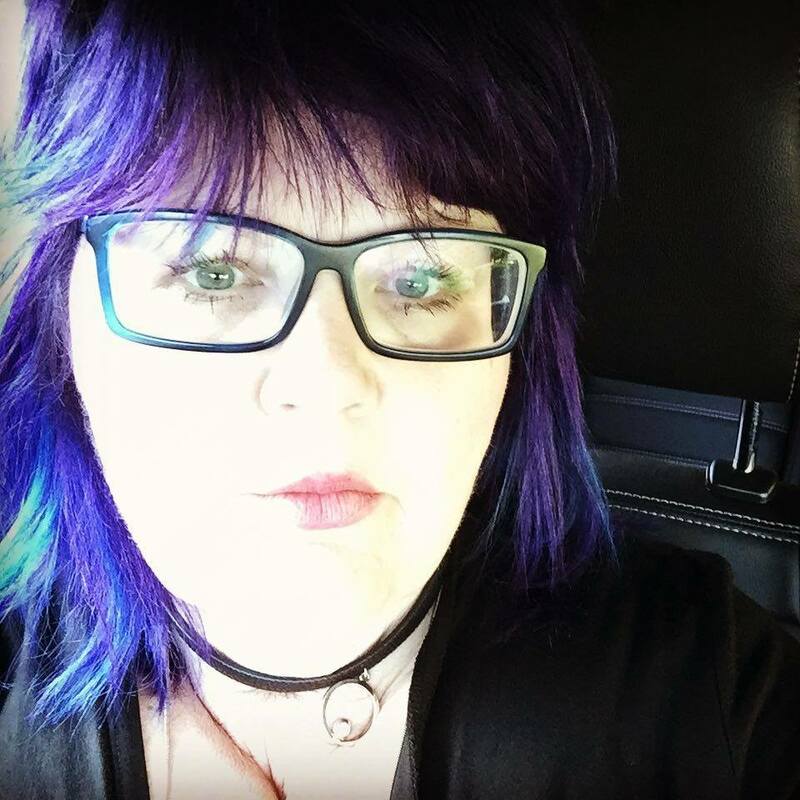 So, I'm starting a little feature here on my blog. Once again, it's not purely selfless, but rather an attempt to remain accountable to my goal of having all of my Christmas Cards completed by the end of November!!! Not only am I going to have over 50 cards complete, but these cards will lack a lot of bulk! After almost having to take out a bank loan to pay for stamps last year (saying last year sounds funny given that I bought the stamps less than a month ago.....hehe). All of the cards with be 4.25 x 5.50 inches! If you feel so inclined, please feel free to join. I'd love to to see your Christmas Creations. Perhaps we can all imbibe in a little inspiration sharing! I hope you like this first one!!!!! Good Morning Impression Obsession Readers and HAPPY NEW YEAR!!! Our Designer Challenge this week is to use something shiny on your card. My Shiny is Glitter Paper in Gold and Silver. It's nice an sparkly to the naked eye. I wish it was just as sparkly in photographs! We'd like you to use something shiny on your project this week! All participants are entered into a drawing for a $25.00 Gift Certificate from Impression Obsession. To make my card, I started with a Black Card Base in 4.25x5.5 inches. The Merry Christmas Die ( you'll notice that I only used the Happy New Year portion of this die!) in Gold. I love the versatility of this one! 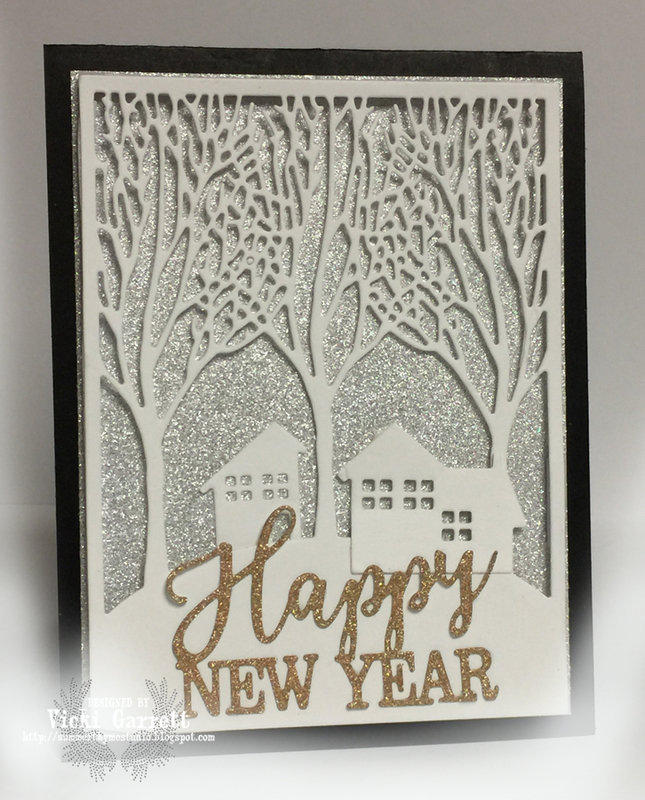 I layered the trees over a silver panel with dimensional foam strips that you can get through Stampin' Up! The rest of the pieces were glued down flat!!! Be sure to see what the DT Girls have whipped up for you! I wanted to share this fun creation with you. I was able to preorder some goodies from the 2017 Stampin' Up! Occasions Catalogue, which then left me eligible to receive this totally A-dorable Hey Chick set!!!! I have several friends who raise Chickens so I am sure they can't wait to get their hot little hands on this set, if they haven't already. on my card base, sponging some Cajun Craze ink to the edges of the paper to create a little more dimension. 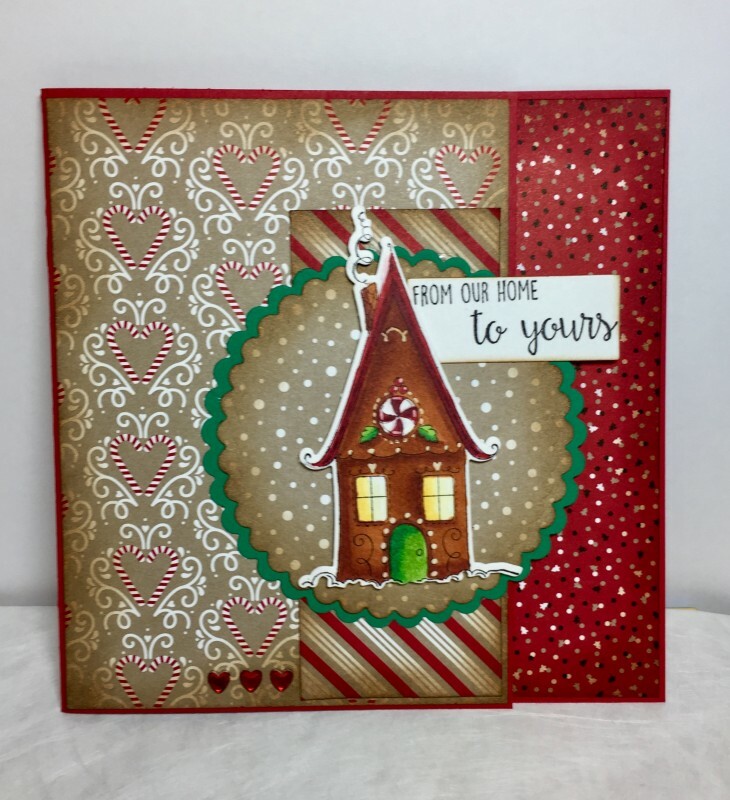 On the Kraft Panel I used my new Hexagons Dynamic Textured Impressions Embossing Folder from Stampin' Up! for another dimensioned layer. I coloured the cute little Cluckers (hehe!!!) with my Copic Markers and mounted them on some foam dimensionals, which are also from Stampin' Up! 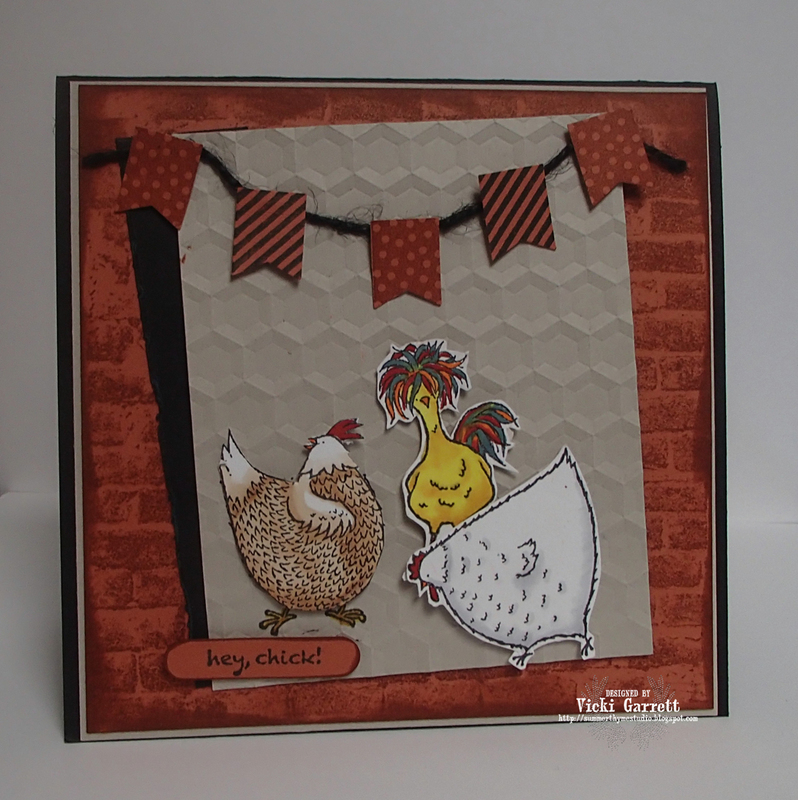 The card was a little naked around the top, so I used my banner sets along with the banner punch to add a touch more pizzaz to the card......it looks like a "Hen Party" to me! One of my favourite kinds of parties!!!!! Lastly, I used my retired Word Window punch to display my sentiment!!!!! Such a fun card to put together. The Hey Chick set can be yours for free with a $60 purchase. If you are interested, give me a call as I don't have a website and am pretty much a Hobby Demo, but would gladly hook you up if you're interested!!!!! We had a quiet Christmas, our small Family missing Dad this year, however we were blessed to enjoy Christmas Dinner and the evening out with our Dear Friends Colleen, Andrew, Jaime and Leslie. In the week leading up to Christmas, Mom and I spent a few days baking together. That was quite enjoyable as we haven't done that in a long time. In November I was diagnosed with Lyme Disease and have been going through some treatment and sorting of Medications that will help me deal with the effects of the disease. Although I wasn't happy to have that diagnosis, I was somewhat relieved to potentially have some answers for some of the health issues i've been experiencing over the last couple of years. I'm off work for a few months with a goal of being good to myself and healing: getting rest, exercise, building strength and engaging in practices to deal with stress and evoke peace of mind. So in that spirit, I have been trying to spend a little time each day on my artwork. I am hopeful that Rest, Exercise, Mindfulness and Creativity will take me back to a place in time where I felt good inside and out , made sound decisions and enjoyed healthy and meaningful relationships. I really like the sentiment on my first card because I want to live with passion, laugh out loud more and Love myself more deeply. In doing so the energy I project will attract the energy that will allow me to realize my personal goals. I want to dance in the moonlight and find my place in the sun. Stamp Set: Beautiful by Stampin' Up!